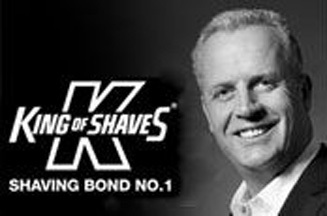 LONDON - Shaving brand King of Shaves is hoping to boost its marketing budget by asking 5,000 consumers to each lend the company £1,000. It is promoting the ‘Shaving Bond' move through its website and press activity, which will feature images of founder Will King. King was interviewed for the Radio 4 'Today Programme's business slot this morning about the scheme. He said: ‘You have my word as a non-politician that the proceeds of the Shaving Bond will be used solely for marketing and promoting the King of Shaves brand to those yet to experience ‘The World's Best Shave''. He added the brand will give investors free King of Shaves products and a limited edition mirror finish Shaving Bond certificate.